(Reuters) - Canada's main stock index rose on Tuesday, helped by gains in energy shares that got a lift from higher crude prices. 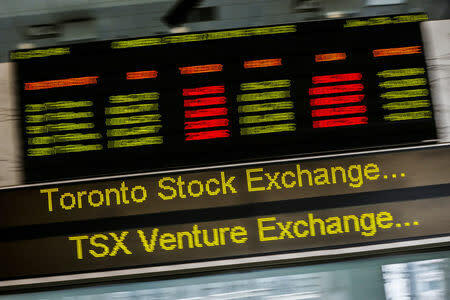 * The largest percentage gainers on the TSX were Hexo Corp, which rose 6.7 percent, and Maple Leaf Foods Inc, which rose 4.3 percent, after TD Securities upgrades to "action list buy" from "buy"
* This was followed by Westshore Terminals Investment Corp, down 2 percent. * Across all Canadian issues, there were 30 new 52-week highs and two new lows, with total traded volume touching 38.03 million shares.